Though the HP LaserJet M2727nf is not exactly a bargain priced multifunctional device, its fast print speed and impressive performance specifications easily justify its hefty price tag. With fully networkable print, scan, copy, and fax functions, this MFP is perfect for the small office that requires a lot of hardware in a reasonably sized package. Both print and copy speeds are very admirable for the HP LaserJet M2727nf and they both top out at a maximum of 27 pages per minute. A built in automatic document feeder supports paper up to legal size and is ideal for copying, scanning, and faxing multiple pages of input with minimal user involvement. The ADF has an impressive 50 sheet capacity as well, meaning large stacks of paper can be loaded into the machine without incident. Scanning and copying can also be done via the built in document glass, accessible via the flip up, flatbed design. Unfortunately, the document glass itself is only letter sized, and anything bigger will have to be run through the ADF. A 50 sheet multipurpose tray complements the standard 250 sheet paper tray quite well, and allows users to load special media types, such as envelopes and card stock, into the machine without first removing the regular paper stores. A single paper storage expansion option consists of a seconds 250 sheet paper tray that would bring the HP LaserJet M2727nf’s maximum paper storage capacity from 300 pages up to 550 pages, and also allow for an additional paper type to be stored. 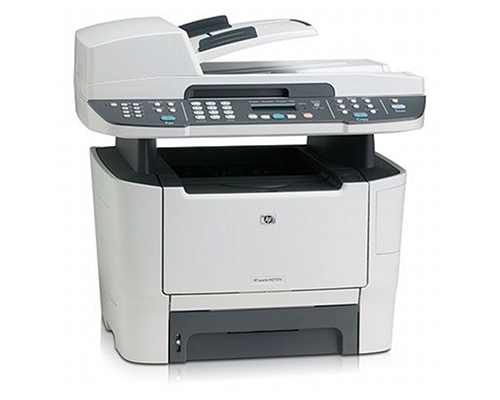 For a networkable unit, the HP LaserJet M2727nf’s maximum monthly duty cycle is very disappointing. With only 15,000 pages allowable per month, offices with very heavy volume demands will have to look elsewhere. The recommended monthly duty of 750 to 2,000 sheets is even more crippling when it comes to outputting large amounts of product. The unit’s built in RAM of 64 MBs is great for saving up to 600 pages worth of incoming fax data within the machine, but this amount is a little sub par when dealing with complex print projects such as mixed text and imagery. HP partially remedies this problem by offering a single 144 pin DIMM expansion slot that allows for a maximum of 320 MBs of RAM to be incorporated in the hardware. 8 MBs out of the total memory is allocated for fax page memory, and this figure is not adjustable. 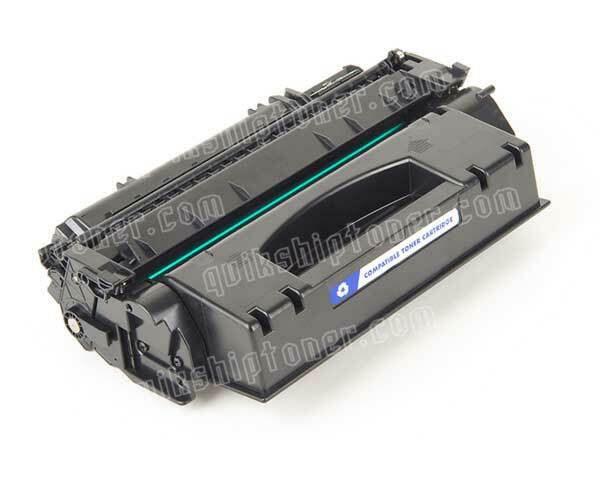 Review it: "HP LaserJet M2727nf "
Both standard toner cartridges and high capacity toner cartridges are available for the HP LaserJet M2727nf but, with such a small difference in price, only a fool would choose the lower yield unit. The jump in page yield from 3,000 pages for the OEM cartridge to 7,000 pages for the high capacity cartridge comes at an extremely minimal price increase, making the high capacity unit the smart decision. Also available for this MFP is a toner cartridge designed specifically for printing checks. The cartridges are very expensive, but they cannot be matched for the professional look that they produce, and each one offers a 7,000 page yield.